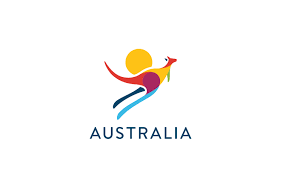 Tourism Australia will receive an additional $10 million in Government funding over the next three years for a global youth targeted advertising campaign as part of a range of Government initiatives targeting working holiday makers. The new measures, announced by Australia’s Treasurer the Hon. Scott Morrison MP on Tuesday 27 September, include: setting the tax rate for working holiday makers at 19 per cent on earnings up to $37,000; reducing the application charge for working holiday maker visas by $50 to $390; and introducing more flexible visa arrangements to benefit working holiday makers and industry. “Only recently we have begun scoping out how we can reinvigorate the youth market. Whilst that work is still in the early stages, this additional funding certainly allows us to up-scale those plans,” Tourism Australia Managing Director, John O’Sullivan said. The youth market contributes 25 per cent of all international visitor arrivals to Australia and 44 per cent of all visitor spend. Find out more about Tourism Australia’s recent international activity targeting the youth market.